Saturday November 2nd: I will be teaching an art demo at BLICK ART SUPPLY in Wheaton, IL. This makes up for the one I had to miss earlier this fall. Saturday November 3rd: Happy Diwali to my many Indian friends, and we celebrate my son’s 9th Birthday! For a few weeks in November and possibly into December, things will be a little nutty here as I’m having a new studio built over the garage, so if I delay in getting back to you on something urgent, ping my wife/publicist at denise@writebrainmedia.com or call her at (630) 845-4694. 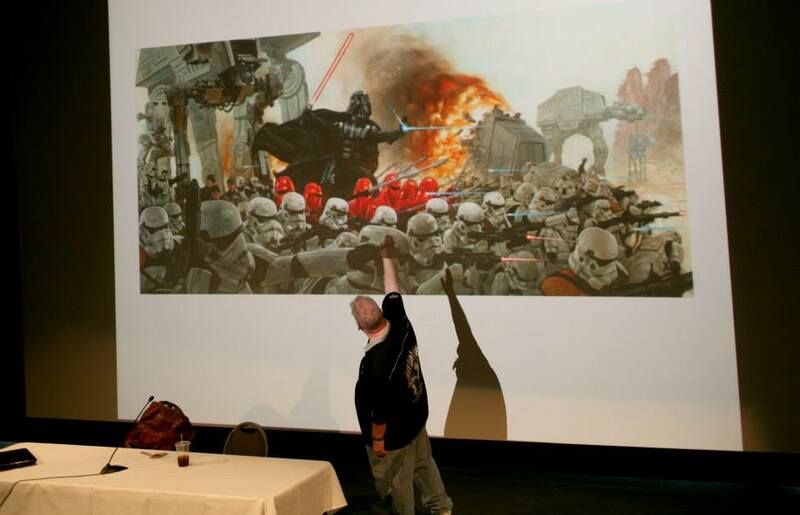 This entry was posted on October 24, 2013 at 5:21 pm and is filed under 501st, Chicago Comic Book Artists, Collectors, Comic Book Art, Comic Book Artist, Comic Book Convention, Comic Book Cover Art, Comic Books, Darth Vader, DAVE DORMAN NEWS, Denise Dorman, Entertainment, Facebook, Fan Culture, Geek, Geek Culture, Horror, Horror Art, Illustration, LinkedIn, Lucasfilm, Nerd Culture, Pop Culture, Star Wars, Wasted Lands, WriteBrain Media with tags Art, Entertainment, Face Off, Fan Culture, Geek Culture, Illustration, Milwaukee, Nerd Culture, painting, Pop Culture, Star Wars, SyFy Channel. You can follow any responses to this entry through the RSS 2.0 feed. You can leave a response, or trackback from your own site.